One of our favorite winter activities in Bend! Live like a local, and snowshoe off-trail to enjoy a gorgeous view of the Cascade Mountain Range. 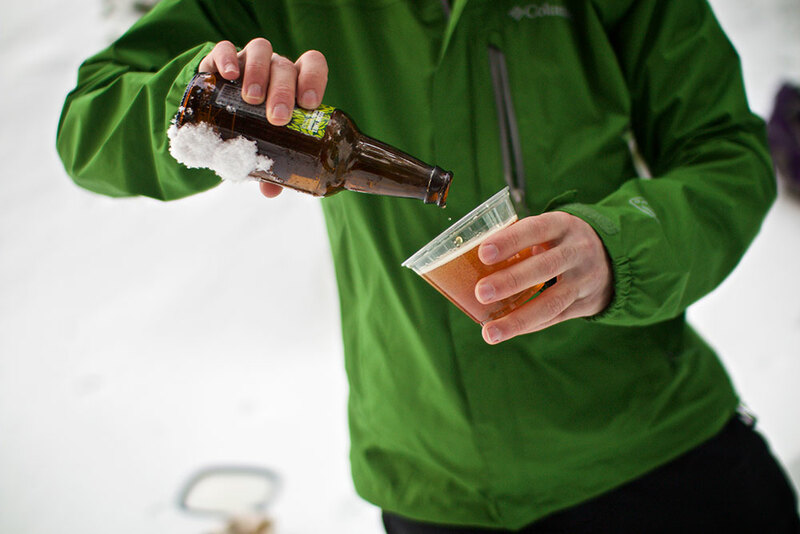 Have a blast heading deep in the forest with your professional naturalist guide, where you’ll enjoy hand-crafted micro-brews from Cascade Lakes Brewery while staring at magnificent mountain vistas! You and your guide will blaze your own trail away, far from the crowds, exploring spectacular and little-known viewpoints. The nuances of the forest will be brought to life through your guide’s vibrant interpretation, and willing participants are invited to participate in one of our favorite fun winter things to do in Bend: surfing down the snowy hills on your snowshoes! This tour is truly a treat, and a fantastic family activity or winter wedding event in Bend and Sunriver, Oregon. Those under 21 can enjoy root beer instead! Camera for the stunning scenery! *Waterproof boots, pants, and jackets are available for rent through Wanderlust Tours. Please reserve sizes when you make your reservation.